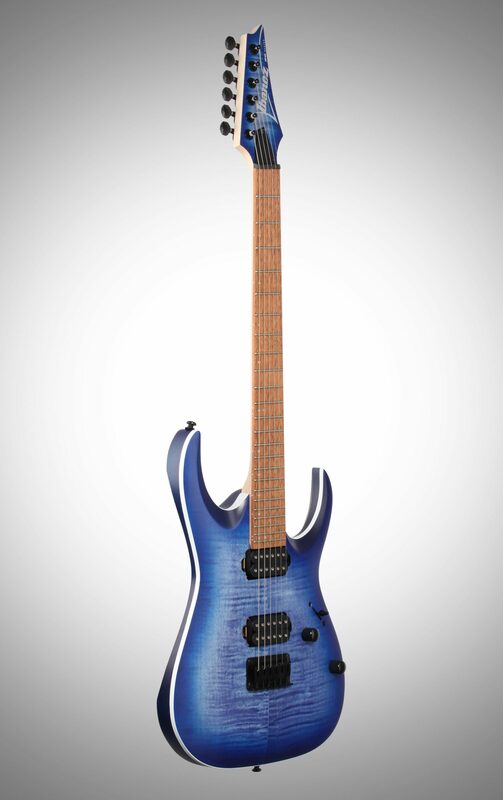 The RGA42FM is a hardtail 6-string electric built around a Mahogany body with stunning Flamed Maple top. 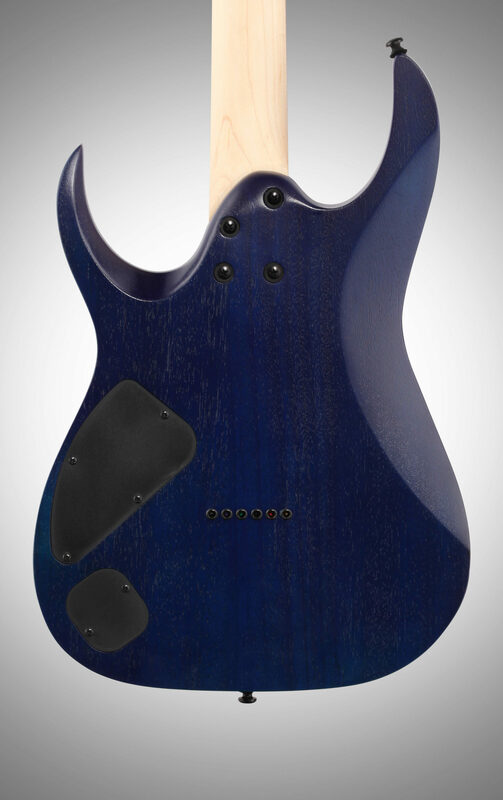 Its contoured top not only looks sleek--it creates a softer, more comfortable edge where the player's right forearm rests. 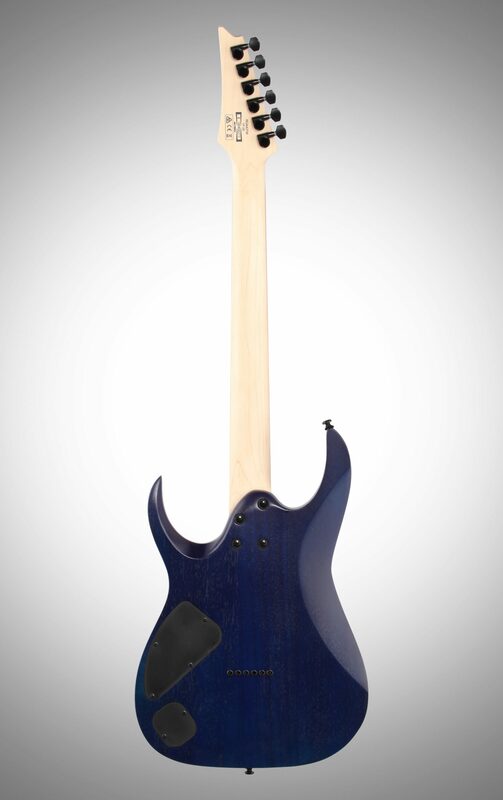 Other features include a fast, thin, Wizard III Maple neck and jatoba fretboard with jumbo frets for maximum left hand performance. This neck and fretboard combination provides a smooth, inviting playing surface and contributes to the RGA42FM's warm, well-defined tonality. Proprietary Quantum pickups offer an entire palette of thick, distorted tone textures that never sacrifice high-end articulation. 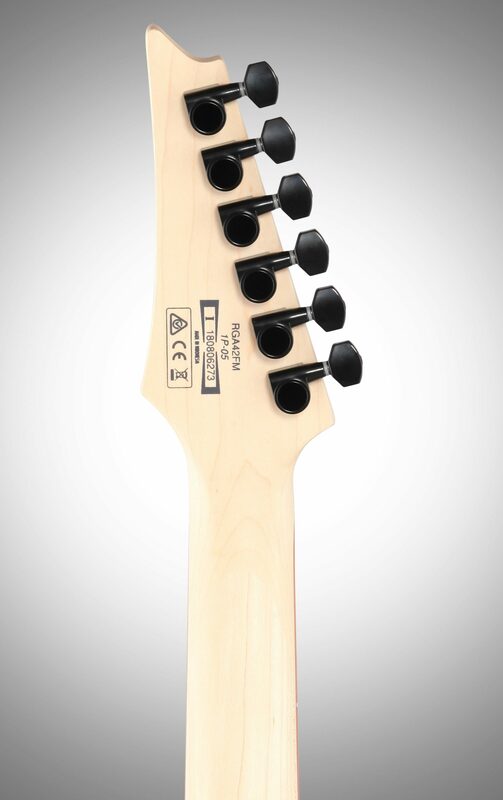 A simple, yet solid fixed bridge provides stable, dependable tuning and accurate intonation. Sound: it sounds great stock, i added the emg 81/85 set and it made a world of difference. definatley worth uprgrading. 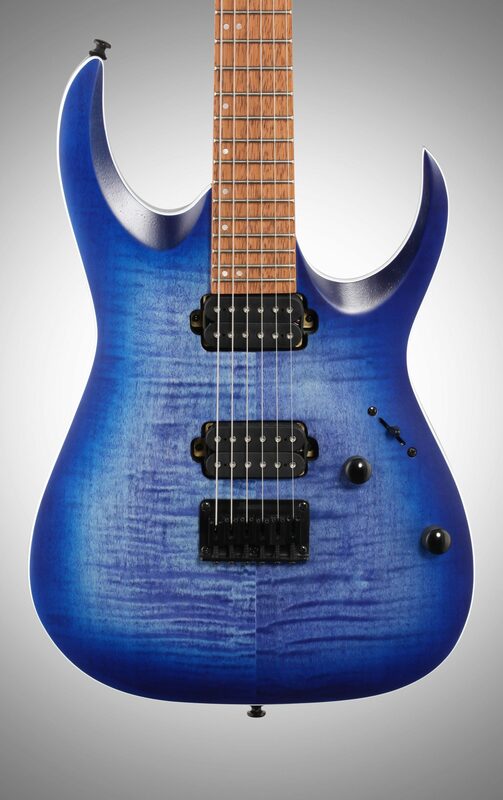 this guitar is great for metal and hard rock, nice thin neck for shredding! 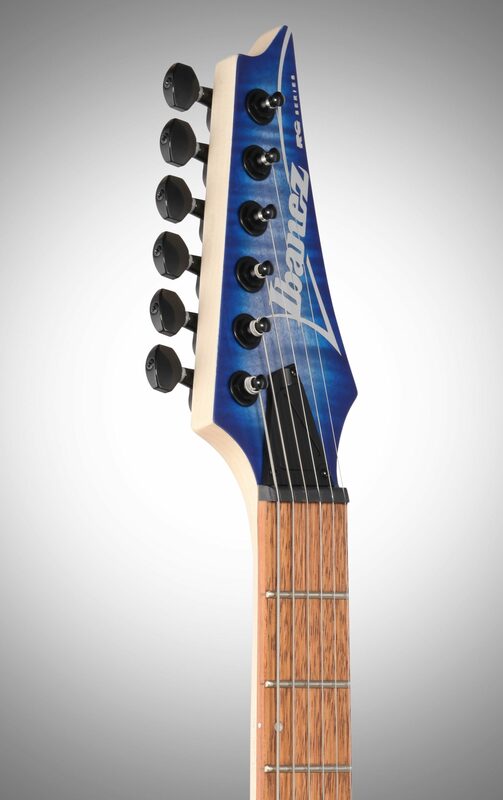 Feature: it is pretty straight forward, nice tuners and bridge, plays well. the stock electronics are a little cheesy with the mid cut switch but i ripped all that out in favor of a set of emgs. otherwise its great for the money. Ease of Use: easy to get a heavy sound from, as well as nice leads. definatley goes good with a boosted tube amp. Quality: overall fit and finish is very good for this price. my frets were a little rough on the edges, but thats no big deal. the only complaint i have with this guitar is that the factory wiring is very sloppy. i know this because i replaced the pickups and all electronics for emg's. 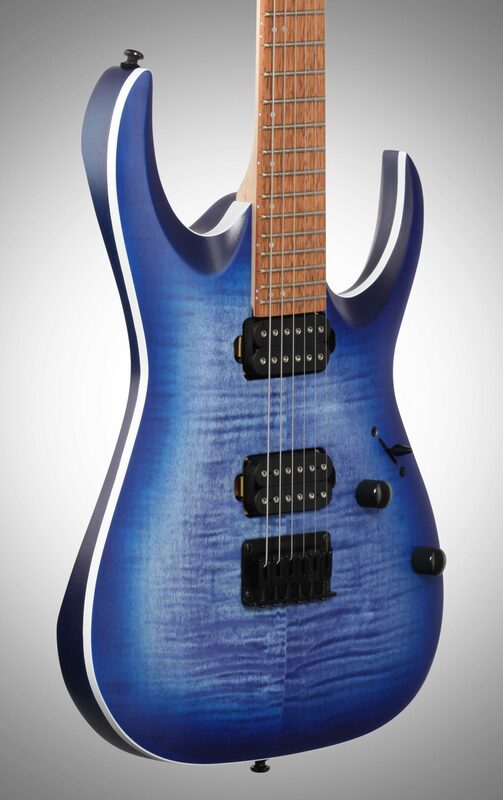 Value: this guitar is a great value, buy this and upgrade the electronics and you have the equivelant of a prestige ibanez for a fraction of the cost. Manufacturer Support: i picked 10 because i havent dealt with them, but i imagine there will be no issues with this guitar, well made! The Wow Factor: the thin neck and the red burst with black hardware is what makes it. Overall: i plan on keeping this thing for a long long while, plays very well, sounds awesome with the emg's. if it were lost, stolen, etc. i would buy another. 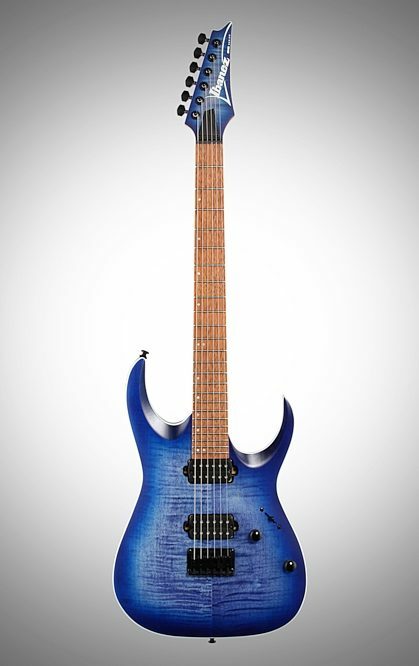 Overall: I bought this guitar a few weeks ago and wanted to play it a bit before I reviewed it. When I first got it the frets were very rough and it buzzed like crazy but I am fairly good with fixing up frets so I did my thing and sanded them down and polished them really good and now it’s an absolutely great instrument. From the looks of the reviews I may have just received one that slipped past and I’m sure if I would have asked zZounds would have switched out the guitar for me. Now that it’s all fixed up I have to say that it sounds amazing and you can really dial in some great tone with this rig.I am really enjoying it and plan on getting another Ibanez after I pay this one off. Style of Music: Blues,rock,classic rock, metal, country..